(CN) – Recently discovered fossils of ancient people living in eastern and southern Africa have been used to shed light on the migration patterns and genetic backgrounds of modern humans on the continent. 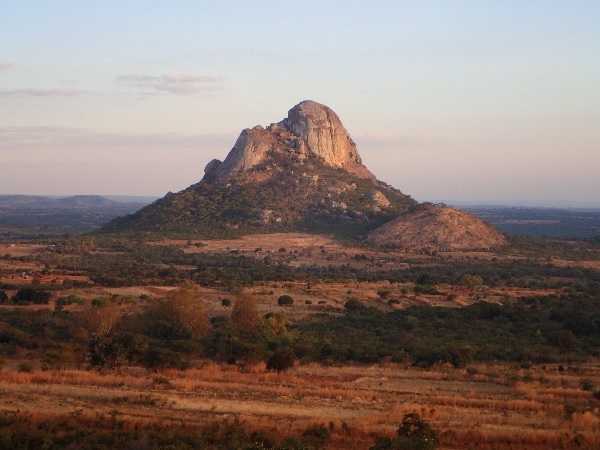 In a study published Thursday in the journal Cell, researchers reveal important clues about Africa’s mysterious prehistory, which has been difficult to reconstruct due to the continent’s limited fossil record. To overcome past research hurdles, the team sequenced DNA from the genomes of 15 ancient sub-Saharan Africans who lived between 8,000 and 1,000 years ago – prior to the spread of food production. The researchers compared the ancient DNA with previously generated genomic data from an Ethiopian highland individual who lived about 4,500 years ago. Genomes from present-day Africans and populations around the world were also analyzed. Their findings reveal that groups related to the indigenous people of southern Africa were distributed further in the past. These populations contributed about two-thirds of the ancestry of Malawi hunter-gatherers from about 8,100 to 2,500 years ago, as well as roughly one-third of the genetic makeup of hunter-gatherers who lived in Tanzania until at least 1,400 years ago. Later migration of agriculturalists from western Africa had a significant impact on earlier hunter-gatherer populations, leading to complete replacement in some regions, according to the study. The team also learned about the movements of herding groups before farmers came along, finding that a roughly 3,100-year-old pastoralist – a cattle or sheep herder – from Tanzania contributed genetic information to individuals from southern Africa, including a pastoralist who lived in the region about 1,200 years ago. The new data upend findings from previous studies that suggested the earliest diversification of modern human lineages occurred in southern Africa, according to the team. Their findings offer evidence that western Africa might also feature substantial ancestry from a modern human lineage that separated even earlier than the bloodline leading to the indigenous people of southern Africa. Availability of ancient genomic data enabled the researchers to identify genes that could have aided humans as they transitioned to a hunter-gatherer lifestyle in southern Africa. The team points to evidence of past selection of genes encoding taste receptors, which are known to help humans detect and learn to avoid poisonous plants, as one such example. Ancient DNA is the only clear method for understanding population dynamics over the extended timeline of human history, and studying past genomic diversity can both reconstruct unwritten history and guide medical genetic studies of mixed populations, according to the team. The researchers plan to continue studying ancient populations from Africa and around the world. “It is particularly important to reconstruct the origins of present-day genomic diversity in populations that have been underserved,” Reich said. Africa’s warm climate is the main culprit in the continent’s limited fossil record.